Marketers are finding an increasingly attractive consumer segment in Generation Z, those born between the years 1991 and 2002. 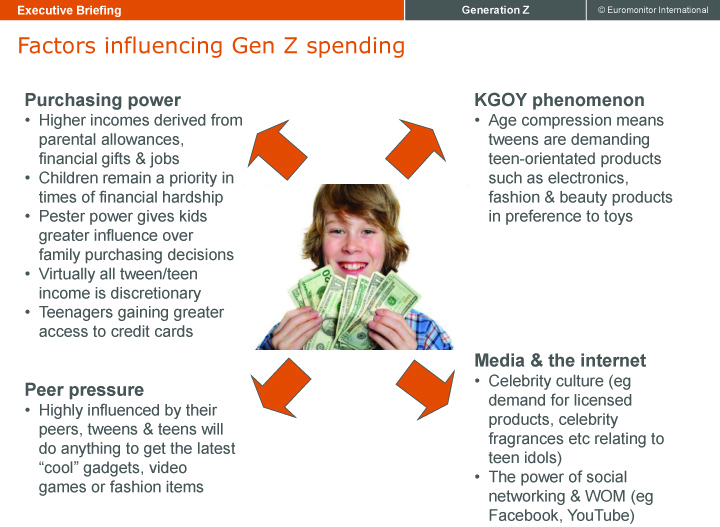 In its new strategy briefing, ‘Make Way for Generation Z: Marketing to Today’s Teens and Tweens’ Euromonitor International examines the marketing potential for this group of brand-conscious, tech-savvy, old before their years and highly individualistic wave of consumers. 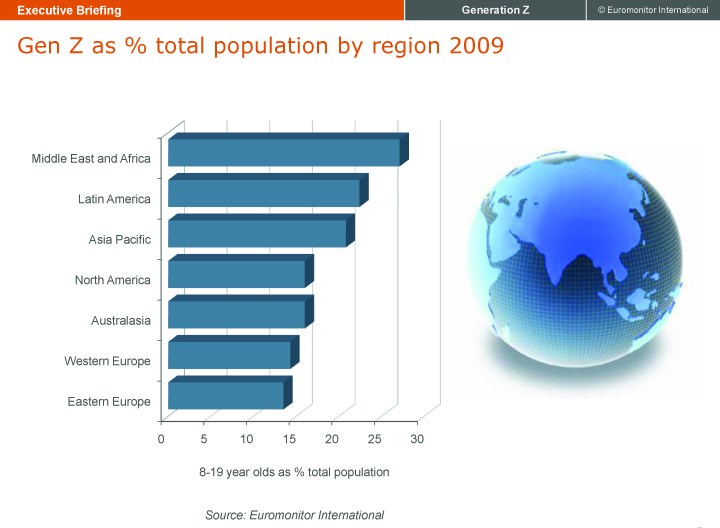 Aimed at strategists and planners, the briefing draws on Euromonitor International’s vast information resources to give a complete picture of the world’s largest demographic grouping, accounting for about to 21% of the global population in 2009. Marketers of all kinds of products, ranging from fashion and beauty to digital devices, can benefit from the spending and online habits that characterise Generation Z. “Gen Zers were born into the digital world and do not know a time without the Internet, laptops, graphic video games and mobile phones. Using such devices is second-nature to them and they are accustomed to processing huge amounts of bite-size information at high speed,” shares Gina Westbrook, Euromonitor International’s editorial director. “Equipped with generous incomes that are almost entirely discretionary, manufacturers that invest heavily in brand-building marketing programmes, particularly online, are likely to capture sales from this consumer group,” adds Westbrook. 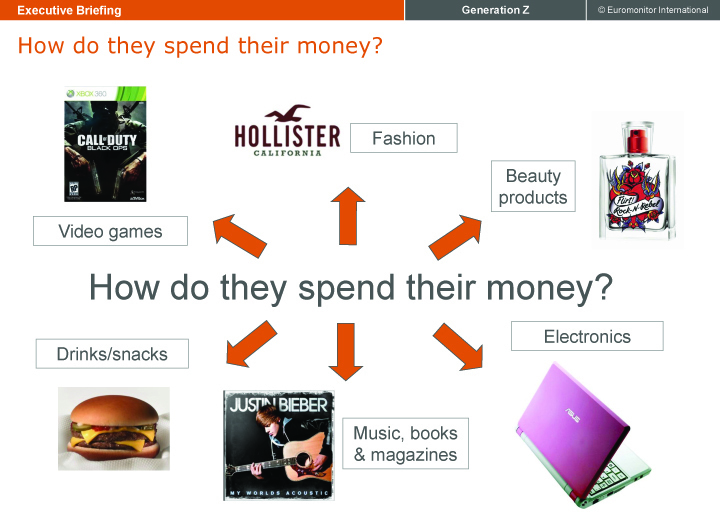 Euromonitor’s briefing details Generation Z profiles in Western and emerging markets worldwide, including behavioural traits, income and purchasing power, and connects that information to future marketing opportunities for brand managers and manufacturers targeting teens and tweens. A full description and table of contents for the briefing can be found on Euromonitor International’s website. Posted in Features and tagged Euromonitor International, research, youth marketing. Bookmark the permalink.